I have added more offerings. The price includes U.S. shipping. Paypal is fine. No trades, please. Thanks. 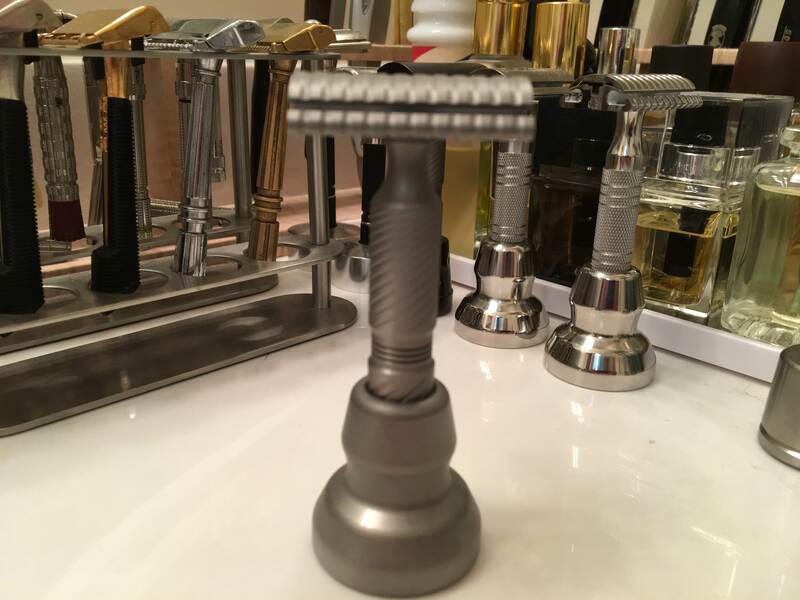 I am keeping one of my three Timeless razors, the .95 SB in the smooth cap. 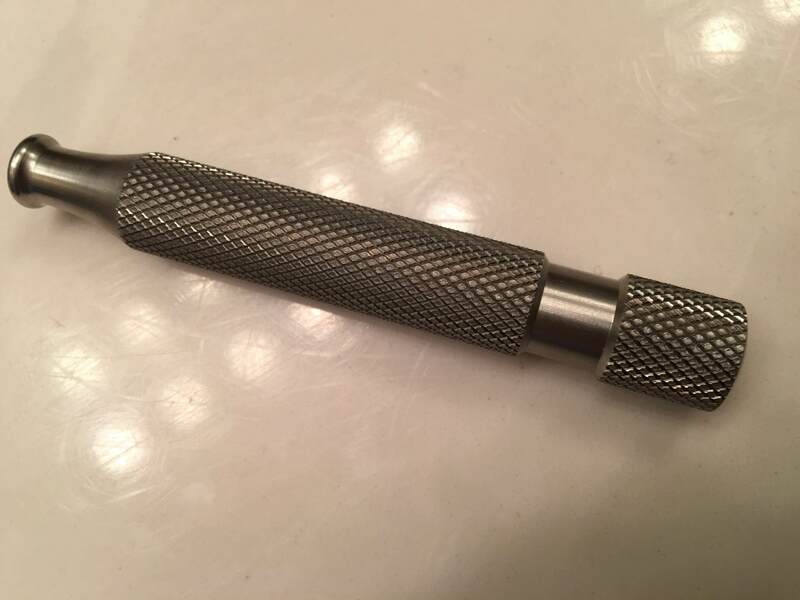 Since the handle is heavy for my hands, I use the razor with a much lighter titanium handle. So I do not need the handle and the stand. 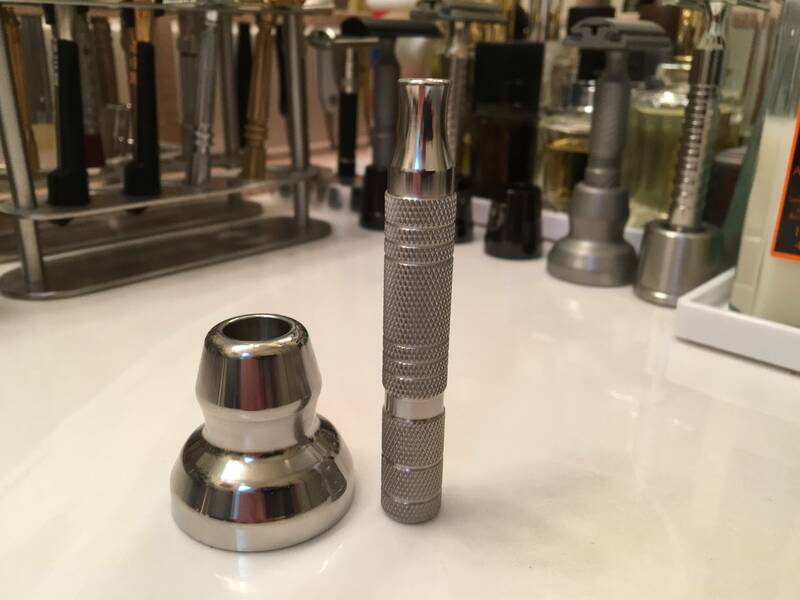 The handle is the 12mm X 85mm knurled. I am not sure the other Timeless handles will fit this stand. New, they are priced at $50 each. Your price is $75 for both. I have added a few more offerings that might make a good holiday gift to yourself. The ATT Kronos handle is SOLD. The Timeless Titanium razor set is PENDING. 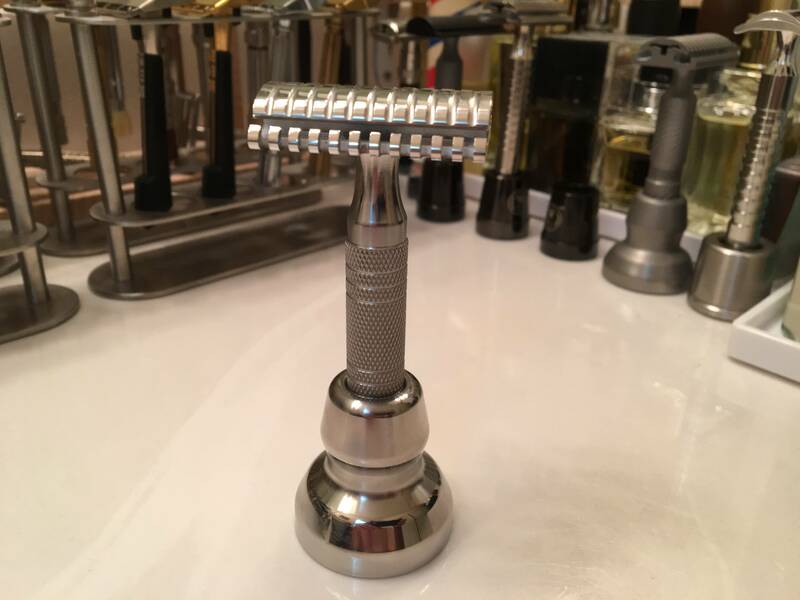 The Timeless .95 OC scalloped stainless steel razor is still available, as are the Timeless handle and stand. The Timeless TI is sold. The OC scalloped stainless steel is still available, as are the handle and the stand set.